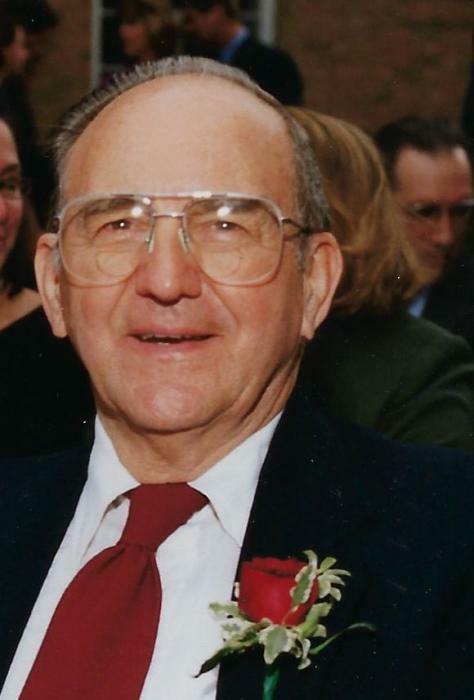 Dale V. Landis, age 90 of Baltimore, Ohio passed away on March 28, 2019 at the Pickering House. He was born to the late Charles and Matilda Landis, Sr. on May 5, 1928 in Basil, Ohio. Dale and his wife Joan were owners and operators of the Paper Mill Restaurant in Baltimore and later owned and worked on properties in the area. He was a member of Christ United Methodist Church and enjoyed working in the yard growing different kinds of fruit. He was a former bee keeper and loved to go to Florida during the cold weather here in Ohio. Dale is survived by his children, Steve (Nancy Weidman) Landis of Pleasantville, Ohio and Pam (Jack) Johnson of Pickerington, Ohio; grandchildren, Matt Hanes, Mark (Lisa Howe) Johnson; step-grandchild, Denise Tilley; great-grandchildren; Prittany, Gabriell and Saffron Hanes, Hannah and Jacob Johnson and Katelynn Lewis; brother, Ronald Landis of South Carolina, sister, Shirley Kellner of Florida and several nieces and nephews. He was preceded in death by his wife of 71 years, B. Joan Landis, parents, and brothers, Charles Landis, Jr. and Kenneth Landis. A funeral service will be held Wednesday, April 3, 2019 at 10:30 a.m. at the JOHNSON-SMITH FUNERAL HOME CHAPEL, 207 S. MAIN STREET, BALTIMORE, OHIO 43105 with Rev. Dr. Alice Wolfe officiating. Interment will take place at Floral Hills Memorial Garden's mausoleum following the service. Family and friends may visit from 2-4 p.m. and 6-8 p.m. at the funeral home on Tuesday. Memorial gifts may be given to Christ United Methodist Church, 700 S Main St. Baltimore, Ohio 43105 or ALS Association Gift Processing Center, PO Box 37022, Boone, IA 50037-0022.